During the past months many leaves and sprigs have been blown into the pond. This organic material may strongly acidify the soil and later on during spring time it will cause an objectionable explosion of algae. Remove this organic bottom sludge already in March. If you have water plants or water lilies, it is recommendable to transplant them. Put some Lelite or plant substrate in a plant basket and the lilies will growth well again. Now that water plants (and algae) start coming out again it is best to remove died off plant parts of the previous year. In order to prevent algal growth in April / May it is wise to install the UV-C filter already now. Please do not forget to replace the old UV-C lamp. Remove bottom sludge already in March by adding Bio-Oxidator to the pond water. Moreover it is important to check the hardness of the water now. Velda Tests are among the most accurate that are to be had worldwide. The hardness should be at least JH 8° GH. Carefully inspect your fish for any symptoms of disease. Cotton wool-like spots, ulcers or swinging motions indicate parasitic disorders. 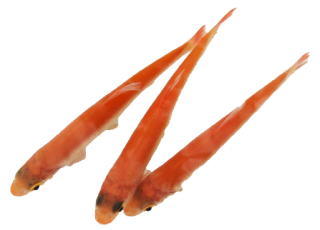 Feed the fish moderately now, because the fish are becoming active at rising water temperature. Bring the fish in top condition again, using the Biofit spring cure. After the cold winter months their condition has reduced strongly.